Robes are silky soft which gives lavish comfort. A stylish fabric combined with a comfortable feel, designed for both men and women. 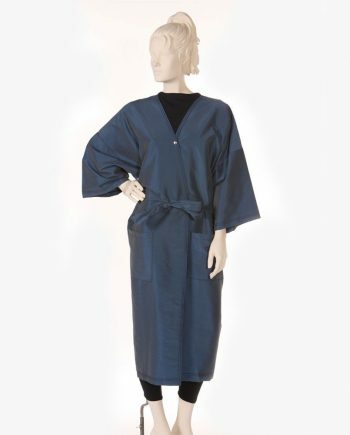 At Salonwear quality and comfort is not compromised by any means. 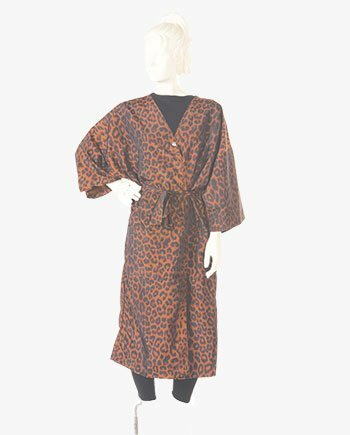 The luxury and warmth provided by our robe are the best in industry. 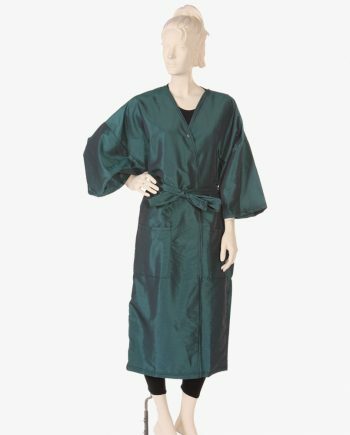 Hair salon robes available in a wide variety, varying in style and design to meet the needs and challenges of today’s stylist and esthetician. 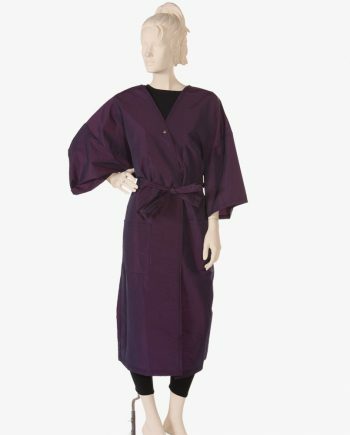 Our team has years of maturity and refinement in obtaining quality fabric that is resistant to water, stains, color or other kinds of chemicals. Say goodbye to stains and happy experimenting with any treatment! When fabricating salon & spa apparels at Salonwear, it has to pass quality inspections in many stages. 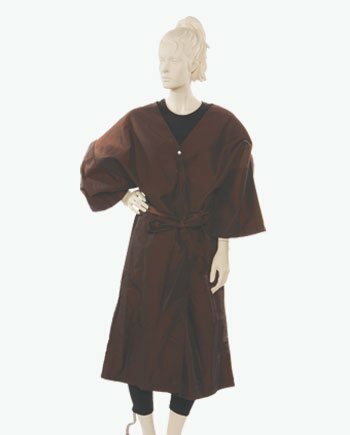 It is a place where innovation and fashion are always welcomed. Our best new styles are inspired by our clients’ needs and ideas from them. 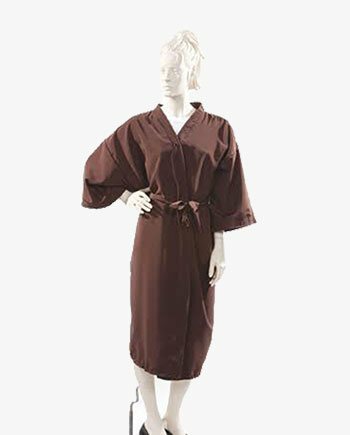 We also provide salon apparels, salon wear and spa apparels in bulk. 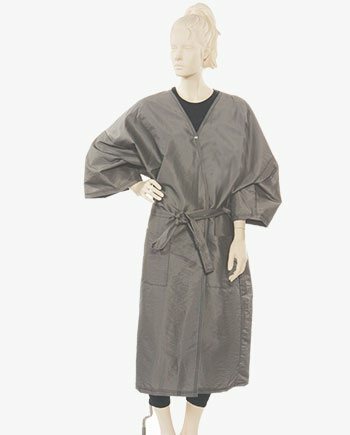 Wholesale salon client robes such as facial client gowns are available at Salonwear. 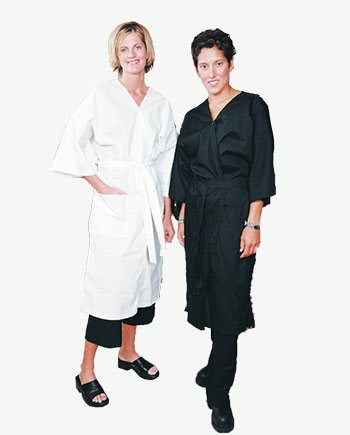 An assorted collection of salon & spa robes transforms any salon or spa into a relaxing place. 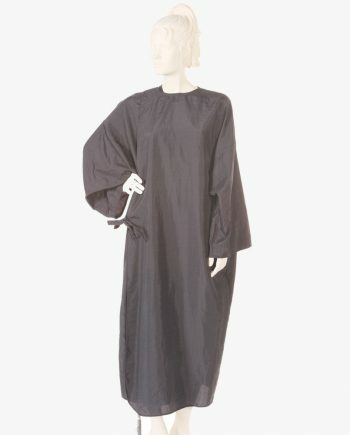 Robes are required at multiple places for multiple purposes. 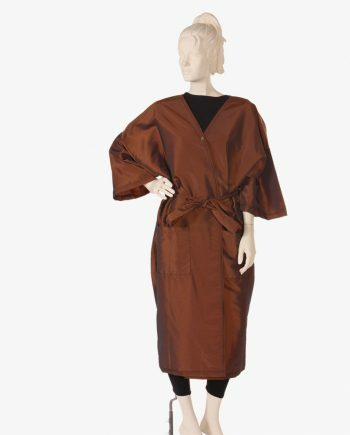 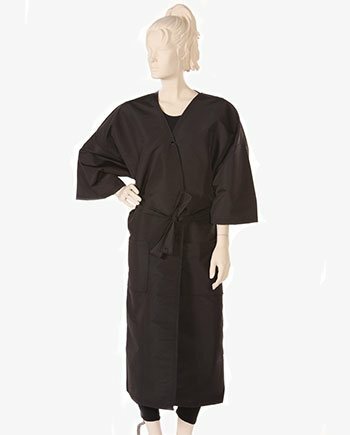 Beauty salon robes like the Big Shirt are easy to put on and off featured with signature Salonwear metal snaps for the front closure, drop shoulder sleeves, two hairless pockets, and a removable belt makes this one good looking salon robe for men and women. 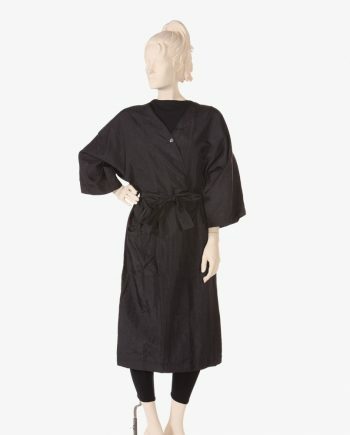 Embroidered robes will surely impress your clients. 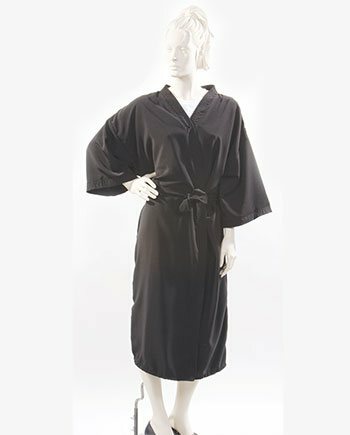 To learn more visit our branding page so you can make your salon robes look fabulous! 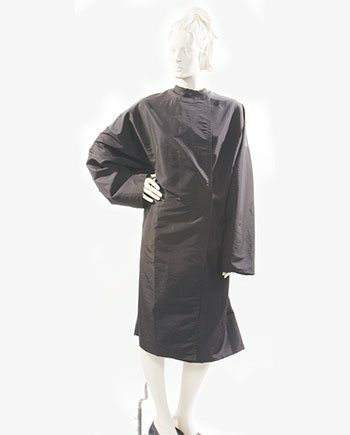 Salonwear is not only the leading suppliers in salon robes but also other salon & spa apparels & accessories such as capes for women, barber vest jacket with pockets, spa towels, capes for kids, hair turban, terry cloth spa wrap, grooming smocks, spa uniforms, luxury spa robes and much more.